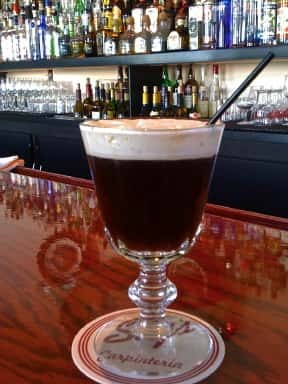 Read what Sly’s Bar Manager Mandy Huffaker has to say about IRISH COFFEE at Sly’s Blog. Every day is Saint Patrick’s Day if you want it to be! We’re still getting the delicious strawberries from Harry’s Berry’s. The brussels sprouts are beautiful. Best of all, there’s fresh bay scallops from Nantucket, maybe the best scallops in the world. Icy cold water makes them the plumpest and tastiest available. It’s a terrific harvest this year, in sharp contrast to recent years. They’re tossed with butter and bread crumbs. We look forward to seeing you at Sly’s, with a chance to enjoy our food and the cheerful hospitality at Sly’s.